Taking care of your gums is just as important as taking care of your teeth. After all, gum disease is one of the most common oral ailments people deal with. Fortunately, gingivitis and other gum diseases can be kept at bay by having good oral hygiene habits. Brushing is one of the most important things you can do when it comes to your oral hygiene. It's equally good for your teeth and gums. At the very least, brush your teeth twice a day. When you eat, food particles are trapped on your teeth, and these are broken down by bacteria in your mouth that create acids that can damage your teeth. It typically takes a few days for these food particles to turn into tartar which facilitates tooth decay. When you brush regularly, you remove food particles and debris in your mouth before it can damage your teeth and cause gum disease. If possible, brush your teeth after every meal. Flossing daily should be part of your regular routine if you want your gums to remain healthy. As was mentioned above, food particles get stuck on your teeth and are eventually converted into acids that damage teeth and lead to gingivitis. While some of these particles can be removed by brushing regularly, others are stuck in tight spaces that your toothbrush can't reach. With dental floss, you can clean between your teeth and all the other crevices. While properly cleaning your mouth is a good way to prevent bacteria inside it from converting food particles into acids that harm your gums and teeth, you should also be attacking the harmful bacteria in your mouth. That's where a good antibacterial mouthwash comes in. These kill bacteria in your mouth that cause gum disease, tooth decay, and bad breath. A quality mouthwash will also help you to clean crevices in your mouth that even dental floss can't reach. The bacteria in your mouth associated with gum disease and tooth decay thrive on sugary environments. The more your mouth is exposed to sugars, the higher the likelihood of you developing gum disease down the road. It's best to limit food items and beverages that have high quantities of sugar. When you do consume sugary food items, make sure you rinse your mouth with water afterward or brush your teeth. Regular visits to the dentist are one of the most important parts of good oral health. While you're there, your dentist will remove any tartar buildup on your gums and teeth which keeps them both healthy. Your dentist will also examine your mouth for any oddities and advise you on the best solutions. Generally speaking, when it comes to oral health, the earlier a problem is detected, the easier it is to rectify it. Contact Queens Family Dental to learn more about how to keep your gums healthy. 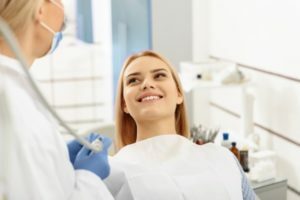 For more information or to schedule an appointment with us, request an appointment in our Astoria dental office here: https://www.queensfamilydental.com. Or call us at (718) 690-9597.